Malaysia ranks as the country with the third highest number of car ownerships, with 93% of Malaysian households owning at least one car. This coupled with our dense population makes for heavily congested roads and bad traffic conditions. There are solutions to this problem—some still development, and some already implemented. These include technological solutions that incorporate cloud computing, AI, and big data. 93% of all Malaysian households own at least one car. Keep that statistic in mind when we consider the size of the entire Malaysian population (approximately 32 million) and our land mass (approximately 328 square kilometres). With a density of 98 individuals per square kilometre, Malaysia ranks 45/233 in the list of most densely populated countries in the world, and it doesn’t help things when we take into account that Malaysia is also third on the list of countries with the highest car ownership. All these things considered, it’s hardly surprising then how congested our roads can become. But despite the negatives, not all looks bleak for Malaysian drivers. Here’s a list of 4 developments happening locally that could see our traffic woes become a thing of the past. 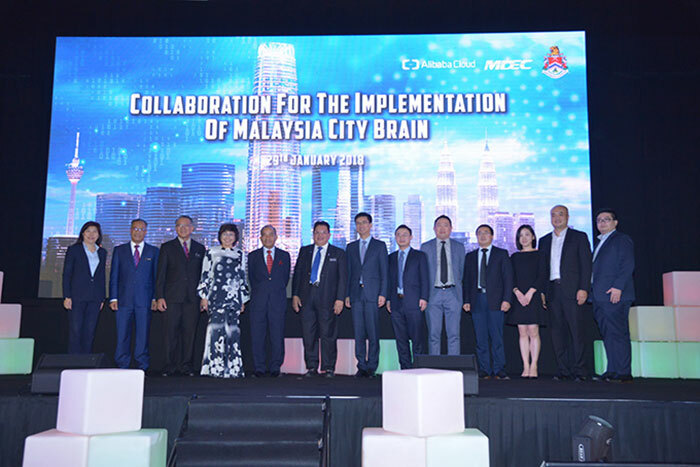 Announced just last month, the Malaysia City Brain initiative was brought in by China’s Alibaba in collaboration with Malaysia Digital Economy Corporation (MDEC) and Dewan Bandaraya Kuala Lumpur (DBKL). The platform will be rolled out across Malaysian cities to help reduce traffic by monitoring the flow of vehicles and gauging traffic volume in busy areas. This will be done through the use of cloud computing and artificial intelligence, and will leverage on data sources such as GPS and traffic light control systems. Federal territories minister Adnan Mansor said the initiative is expected to enhance the capital city’s traffic condition analysis, traffic signal optimization and accidents detection. The system in Malaysia will be the first implementation of the City Brain platform outside of China, where the system has already been operational in Hangzhou since late 2016. The results yielded from the use of the system in the East China city have been remarkable—there has been a reported 15% reduction in overall traffic volume, and an impressive average of three minutes saved per vehicle daily. Hopefully the introduction of the City Brain platform to Malaysian soil will be able to achieve similar success to Hangzhou’s implementation of the system. A similar effort to the City Brain platform that has already been introduced locally is the Smart Traffic Management system in Cyberjaya. More commonly known as the Smart Traffic Light system, the technology works via integrating pre-existing traffic light and camera installations with a smart analytics platform. This platform will seamlessly link multiple traffic light junctions and manage the flow of traffic according to volume. 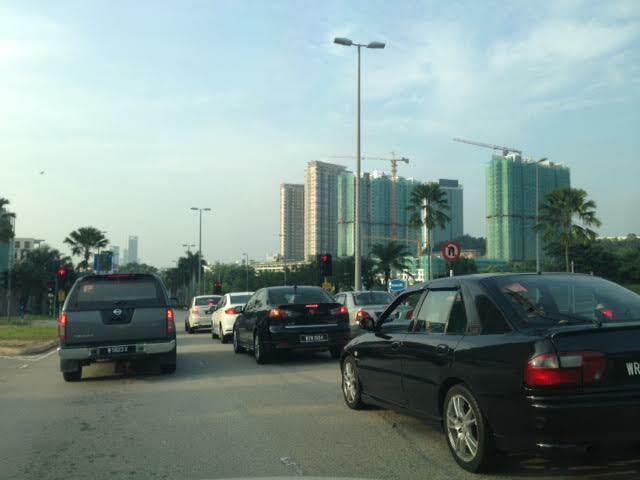 The system has already been in development and testing since late 2015, and a test run done along Persiarian Multimedia in Cyberjaya showed a 65% reduction in waiting time at traffic junctions, seeing usual travel duration of 32 minutes reduced to around 8–11 minutes. Although the system is only implemented in Cyberjaya at the time of writing, its potential effectiveness as a time-saver could have a widespread upside if brought to the rest of the country. Smart parking technology may have many different modes of implementation, but they all possess a similar end goal—to help ease traffic congestion. Many cities around the globe have implemented their own smart parking ideas, each with their own different approach and results. The ExpressPark system in Los Angeles keeps track of vacant parking bays throughout the locale and adjusts prices accordingly. Doing this eases the traffic flow in overly congested areas by hiking up its prices and directing locals to areas where there are more empty spots. A mobile app also allows drivers to book vacant spots ahead of time, and system has so far been able to improve the average occupancy of parking spots in the city by 15%. This is just one example of many implementation exercises worldwide. 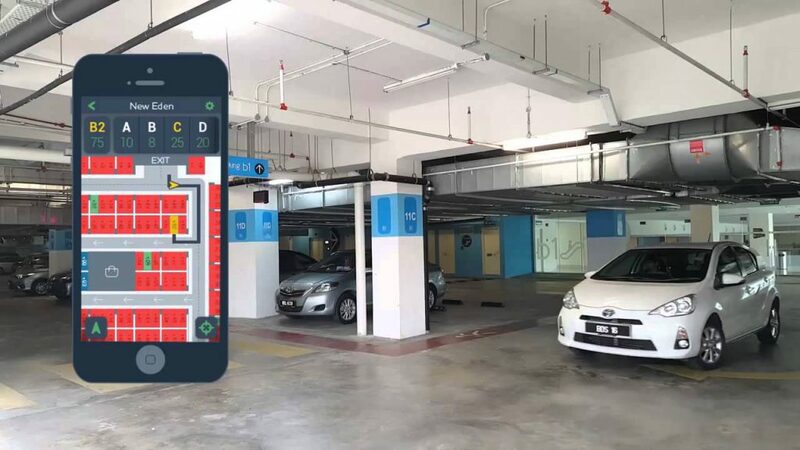 In Malaysia, smart parking is still yet to see the arrival of a truly effective solution, but there has been some effort from smaller startups. For example, companies such as ParkEasy, JomParking and Parkit hope to introduce solutions that connect drivers with unused parking spots around the Klang Valley. By increasing overall parking occupancy, drivers will have to spend less time looking for parking and in turn reduce the number of cars on the road. Although most of these use cases are focused on small urban areas and shopping malls, we hope to see more widespread implementation of smart parking features throughout the country. Ride-sharing isn’t new. In fact, it feels like it’s been around for ages. 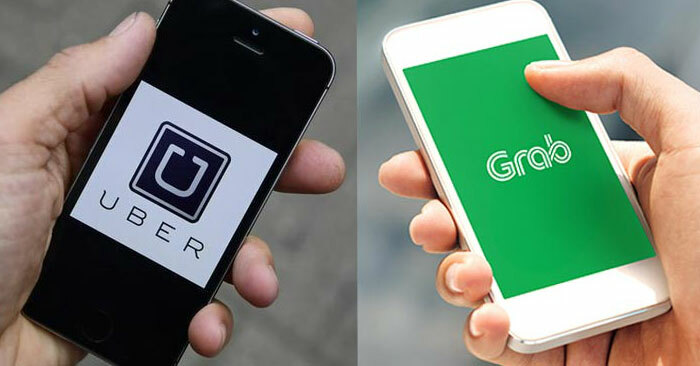 But while the services of Grab and Uber have become more widespread in recent times, an Uber-commissioned report by Boston Consulting Group said that peak-hour congestion in Kuala Lumpur could still be reduced by up to 91% if ride-sharing was used to its fullest potential. The report documented an approximated 5.8 million cars in Kuala Lumpur alone, but said that only 60% of that figure was necessary to get the same amount of people to where they intend to go. While a 91% percent reduction in city-centre traffic congestions might seem unrealistic, the idea of getting more Malaysians to share transportation is a legitimately viable route that should be considered by the local administration. Recent signs have been encouraging, however. In Malaysia’s Budget for 2018, PM Najib announced a subsidy of RM5,000 on first-time vehicles purchases for buyers looking to join e-hailing services. And regulations passed in recent years have made it easier for services such as Grab and Uber to operate locally. Should things continue in a similar fashion, the prospect of having more shared transport on the road looks promising for Malaysians. 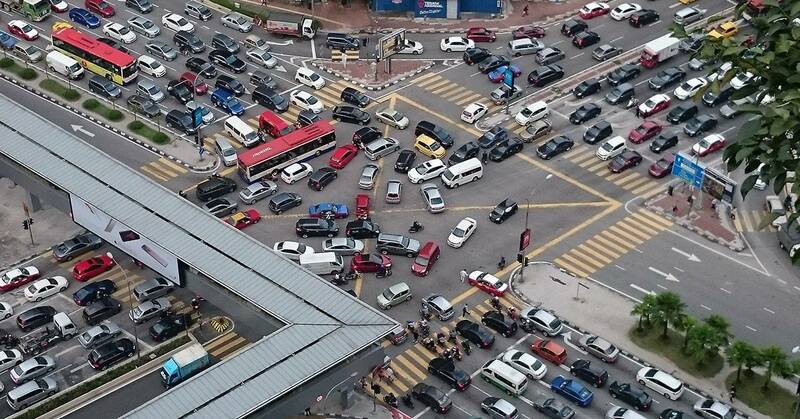 All things considered, Malaysia still has work to do before any marked improvement in the alleviation of traffic congestions can be tangibly seen. But with technology moving so quickly, a new solution always seems to be around the bend, and that it’s only a matter of time before being stuck in rush hour traffic becomes a distant memory.